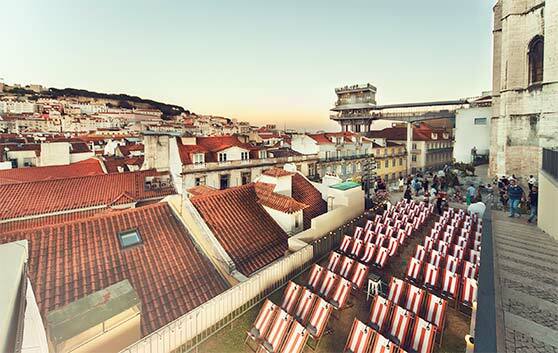 Picture this, a group of friends lounging on deck chairs in one of Lisbon's most iconic spots. 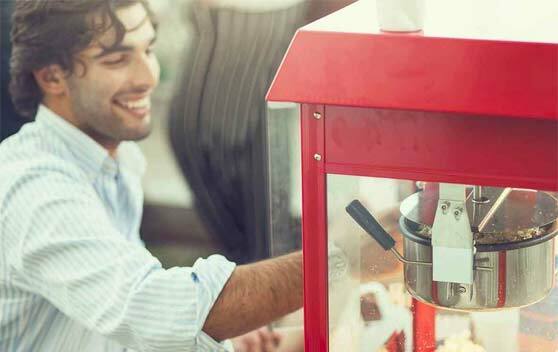 You're drinking chilled fizz, craft beers and watching a cult classic like Back to the Future. Behind the screen the skyline turns from dusk to night and the stars roll into the sky. We couldn't imagine a more magical evening! As we expect strong demand for tickets, we urge you to book now and secure your spot to avoid disappointment! We are incredibly excited to bring the people of Lisbon this line up of old and new cult classics from some of the greatest directors to ever live. From Wes Anderson, Ridley Scott, The Coen Brothers to Francis Ford Coppola, come enjoy some of the greatest movies to have ever been made. Life couldn't get any better. In 2018 we are returning to one of the most beautiful spaces in Lisbon, from your deck chair seat to your right you have a view over the city and the amazing 120 year old Elevador de Santa Justa to the left you have the ruins of the Convento da Ordem do Carmo. Of course right in front of you there is our screen with an amazing movie. The bar of our host TOPO Chiado is well stocked. A brand new venue for 2018, and what a venue! Hopefully the breath-taking view of the Cascais bay and marina doesn't distract you too much from one of our amazing movies! Our Cascais screenings will take place at Blue Bar on the roof terrace of Hotel Bai'a which is dominant in the heart of Cascai's Historic Centre, it provides a panoramic view east to Lisbon and west over the village. We have worked closely with the Bai'a to create a night to satisfy and to remember. We are really happy to be able to offer a choice of seats, of course our very popular deck chairs but we also have 5 sofas which you can take all to yourself or for up to 5 people to relax in. Rent our cinema for your private event. We are now making our cinema set-up fully available for private events, if it is a wedding, a birthday or just for fun with friends in the garden, you can now hire Cine Society and its lovely and very beautiful staff! Prices are low and start at €1.500 for a full package. So if you are a school, a bar, a hotel or a group of friends, feel free to contact us and we will discuss how we can make your event as magical as possible. What we bring is our deck chairs, screen, headphones, blankets, fairy lights, as well as well as two of us to keep the event organised and set everything up so you can just focus on having fun. We can also supply a bar and food for your event. We can also rent our equipment individually. So if you just require our deck chairs, say for a wedding, we got you covered. 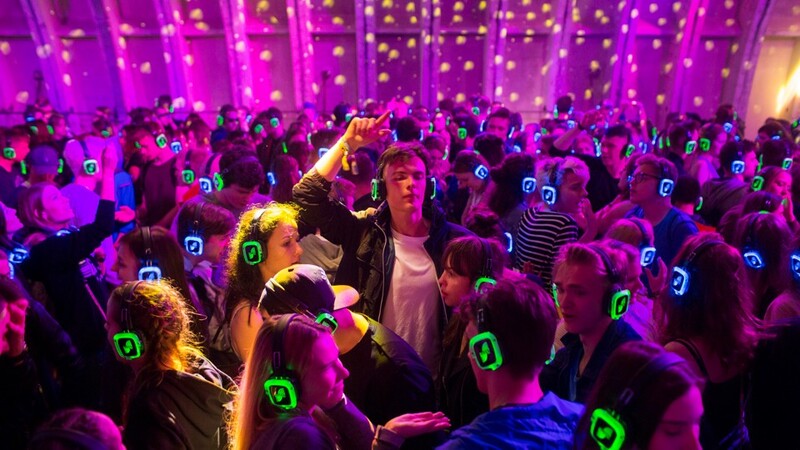 Or possibly you’d like to host a silent disco or jam session with our wireless headphones, we can do this also.